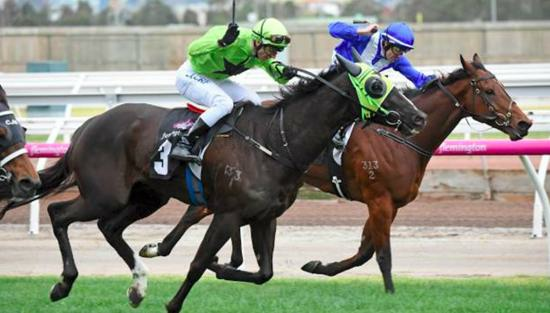 Tasmanian galloper Tshahitsi’s fond relationship with Flemington will be tested on Monday when he tackles the straight course for the first time in the group 3 Standish Handicap. At a mark of 102, Tshahitsi is the highest rating of 12 entries taken for the 1200-metre dash but his co-trainer Imogen Miller admitted on Wednesday that while the horse treats Flemington like home when he visits the mainland, she can only guess as to how the six-year-old will handle the straight run. ‘’I’ve got no idea really but I do know he’s come back a stronger horse and we had to kick-off somewhere so we thought we’d have a throw at the stumps and see how we go,’’ Miller said. Tshahitsi won two of his past three races at Flemington over the winter with his campaign culminating in his first mainland stakes victory in the 1600-metre Winter Championship Final. Miller said the horse took his time maturing and at six years of age was at the peak of his powers.